Time for Parliament to move on – how about Stratford? The news that urgent consideration must be given to need to restore the Palace of Westminster – which houses the chambers of the Commons and the Lords – is very welcome for anyone interested in bringing our national Parliament into the 21st century. I have been a long-time advocate of building a new Parliament and turning the present Palace of Westminster into a Museum of Democracy with a residual function for state and other ceremonial occasions. Sadly, I doubt it will happen. The present building is inadequate and ill-suited to the demands of a modern legislative assembly. Take the House of Commons itself. It is far too small as even when they are crammed shoulder-to-shoulder it can accommodate little over 450 of the 650 MPs we elect to it. Only ministers have somewhere to put their papers when speaking and no-one has a table or desktop. When you consider the hundreds of pages that modern Bills often run to and the background material you might need to have to hand when participating in a debate this is just absurd. Then there is the shape. Once we had two parties, Whigs and Tories, and before they were formed you were either a government supporter or you were opposition. This made a chamber originally based on the layout of a collegiate chapel (its first home) with rows of benches facing each other perfectly sensible. Now, we have a multi-party system with 12 parties currently represented and many subtle cross-party alliances on specific issues that make a nonsense of the “them or us” layout. 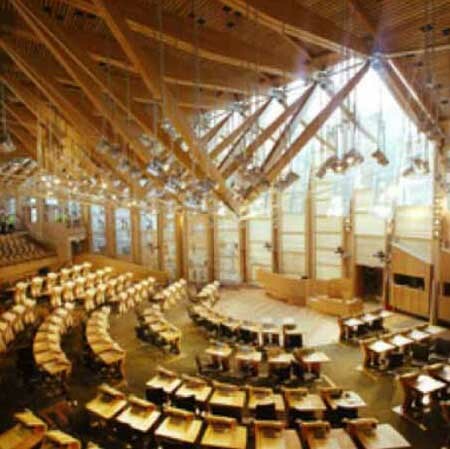 Horseshoe or similar layouts are much more common throughout the world and can be seen in the new buildings for the Scottish Parliament (right) and Welsh Assembly. This is all before you start to consider the role that technology might play in making the running of Parliament more efficient, with proper IT support for MPs while they are in the chamber. You could have individual built-in screens which could, say, display all the relevant background material for debates, have a news feed and so on. Maybe we could even look at electronic voting instead of having to have 15 minutes of wandering around everytime a vote is taken. Someone might even suggest that we could look at using technology to create opportunities for direct engagement with voters. Many MPs are quite good at using Twitter and Facebook to engage with the wider world so you might imagine they would welcome the opportunity to modernise their workplace. That is far from the case. I am the first to acknowledge that the Charles Barry and Auguste Pugin building that constitutes most of the present Palace of Westminster is a wonderful building, full of history. I have loved going there ever since I made my first visit back in the early-1970s and frequently wonder at the history that has been made within its walls. But let’s be ruthlessly sensible for a moment. First, the present House of Commons is a replica. The 19th century chamber (itself a replacement for the earlier chamber destroyed in a huge fire in 1834) was completely destroyed in May 1941. After that, the Commons met in Church House and later on in the House of Lords until 1950. So, Churchill’s wartime speeches were not made in the present chamber, the NHS was not born in debates there and going further back, Gladstone, Disraeli and Lloyd George never graced its benches. The oldest part of the building is Westminster Hall which you now walk through when visiting the Palace. It is over 900 years old and was the location for the trials of Thomas More and Charles I as well as the lying in of state of many monarchs and great statesmen. Nowadays, it is used when a visiting head of state makes an address to both Houses of Parliament, as our own Queen did at the start of the Jubilee celebrations last year. There is no reason why Westminster Hall could not continue to be used for such occasions. Second, many of the most significant Parliamentary occasions of the past couple of years have taken place in the modern committee rooms of Portcullis House as the key Select Committees have abandoned the traditional meeting rooms in the Palace of Westminster. This is not surprising as they are cramped and ill-equipped to cope with the demands of the modern media. The popularity of Portcullis House demonstrates that MPs acknowledge the need for better, more modern facilities. Third, the confrontational culture of the present House of Commons repels many people from politics. The weekly Prime Minister’s Question Time is often acutely embarrassing despite the best effects of the present Speaker, John Bercow, to get MPs to clean up their act. I think he will never succeed in that worthy mission in the present chamber with its architectural invitation to think in crude them or us terms and the associated legacy of hundreds of years of rowdy behavior, once accepted but now seen as wholly inappropriate. Once you start to look at the problem in this more dispassionate way it becomes clear that a move to a new chamber – even temporarily – has both logic behind it and many potential attractions. The question then becomes, where? Could it be in Docklands? Years ago I always thought the answer was a completely new Parliament built in Docklands. This would have instantly solved the problem of trying to establish the viability of Docklands but forgetting to put in a proper transport infrastructure: MPs and senior civil servants would have ensured that the roads, trains and buses were put in place for them. The moment for a move to Docklands has probably passed, however. I am not in favour of a move outside London, especially as we have now established parliaments in the constituent nations of the United Kingdom. London is our capital city and I can’t think of other national parliaments that are not in their country’s capital. This probably leaves the QEII Conference Centre or the Olympic Park at Stratford as the front-runners. The QEII Centre just across the other side of Parliament Square would certainly work as an interim measure – as was suggested last year – if the case for shutting down the Palace of Westminster for the repairs becomes unanswerable but it might even be the best permanent option. It is a relatively modern building with plenty of adaptable space, it is very near to all the present MPs offices, government departments and Downing Street. It would also mean that it would be easy to continue use of the present Palace of Westminster for ceremonial occasions. A move to a new chamber has so many advantages that you may think it surprising that it doesn’t have more supporters. Over the years whenever a temporary or permanent move has been mooted, Labour and Tory MPs alike have grumbled at the prospect, with their objections rising to a crescendo as soon as any suggestion of a horseshoe-shaped chamber creeps into the conversation. The institution has taken them over. So, it doesn’t look likely to happen too soon or be born out of anything other than last minute necessity. 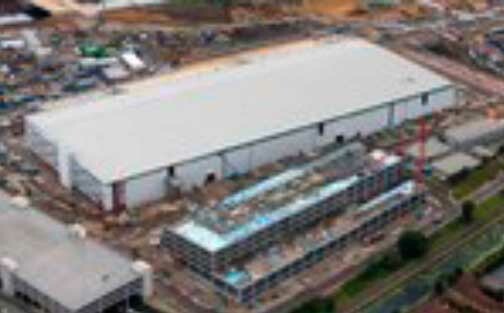 The repairs to the present building will have to continue to be done on a make-do-and-mend basis until it reaches a crisis point which could, according to Richard Ware quoted in The Independent story, be as early as 2020. 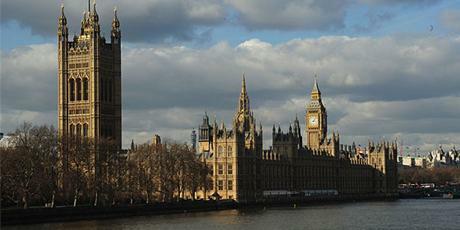 Are there any real reformers left at Westminster?